Help, Our Deck Needs Covering! What happens when your deck has too much sun and exposure to the elements? What do you when you have no true place for grilling or chilling? 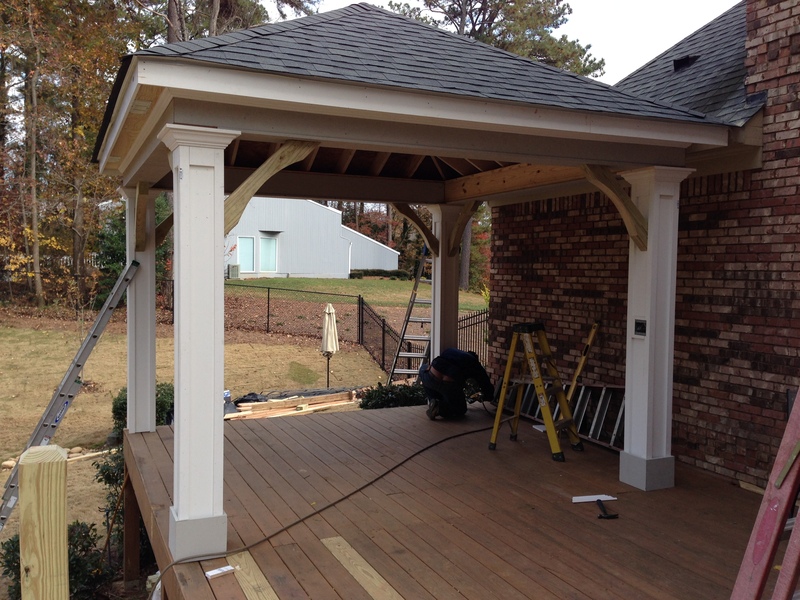 Call Atlanta Curb Appeal and get a new deck and covered porch! How did they find you? And what was your first meeting like? 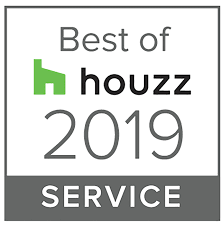 From owner Avi Moyal: “Our latest clients saw one of our yard signs and decided to call for a free estimate to see if we could help them out. The couple had an existing deck and a limited amount of light shade in their backyard. 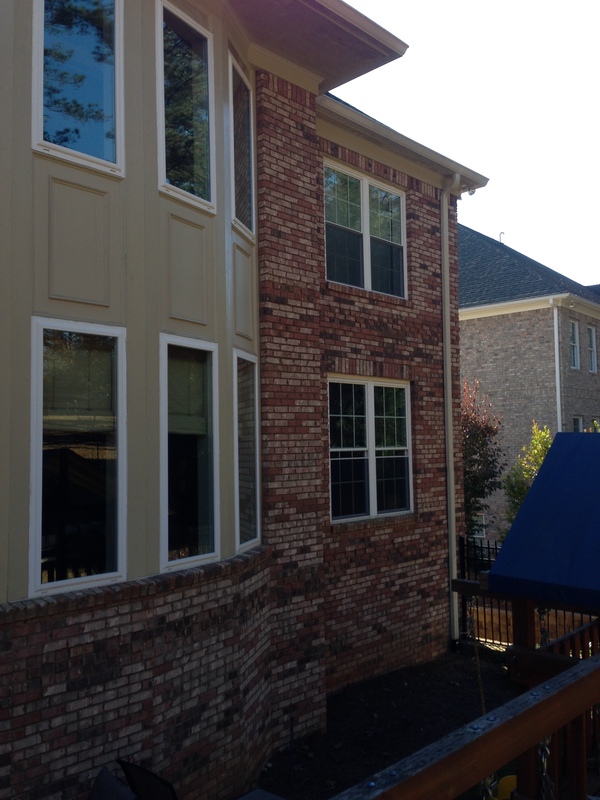 Together we came up with some great ideas for a nice patio cover retreat for entertaining. Since the client works in design and architecture, we ended up having a good number of discussions over the engineering plans. The design we decided on was to extend the deck with another section. This new addition of deck would be the perfect place for their grill, the Green Egg Grill and a brand new sitting area which would include a built-in bench plus a granite worktop surface area in between the two grills. The perfect foodie home chef experience! But wait there’s more! Of course we wouldn’t want the guests falling off the deck after a few Shirley Temples so a new railing was going to be added too. And after enjoying a nice outdoor meal the perfect way to polish off the evening would be an entertainment media center complete with an exterior sound system and wall mounted outdoor flat screen television. Part of all this magic would include relocating the water hose, adding a ceiling fan, moving electrical outlets to the front deck and bringing a gas line from the basement to an area under the deck for the BBQ! No more wasted time preparing for a party running to the store for more gas! How long did this all take? What was it like day to day working with Atlanta Curb Appeal? The project took about two weeks. 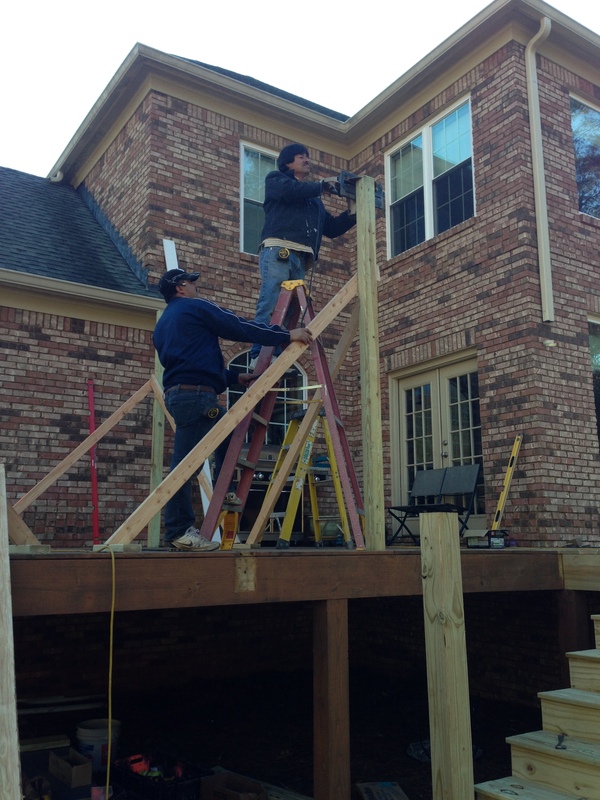 Every day while we were building it the client would come home and we’d discuss the day’s construction and progress. I enjoy this open communication with clients keeping them in the loop about everything we do (for clients who are off site I do this with emailed pictures and videos). Together we had a healthy open professional dialogue where he brought me his opinion and we were able to discuss and implement as a team. One challenge that we ran into was the old deck. When we first examined it we all decided that if we got into the project and felt the old deck wasn’t safe we would take action. It did end up being poorly constructed. 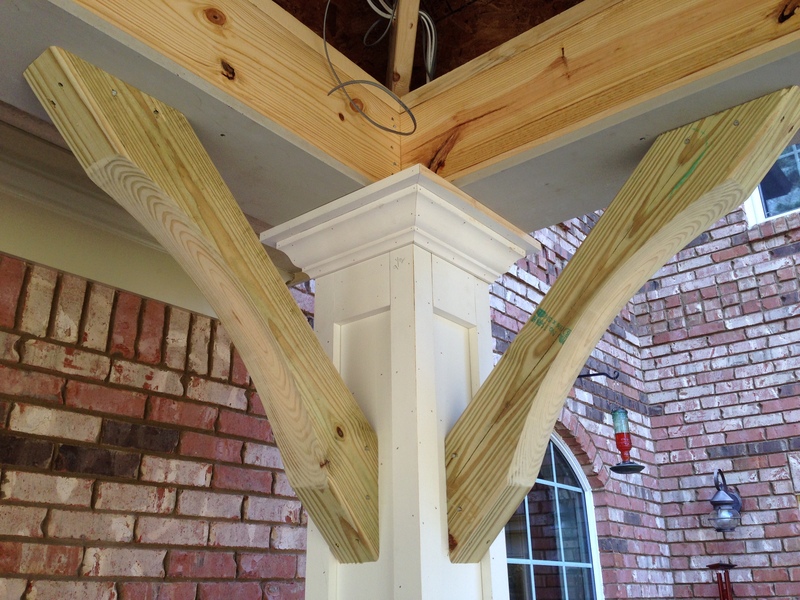 To remediate, we added four posts, beams and braces to reinforce the existing structure. 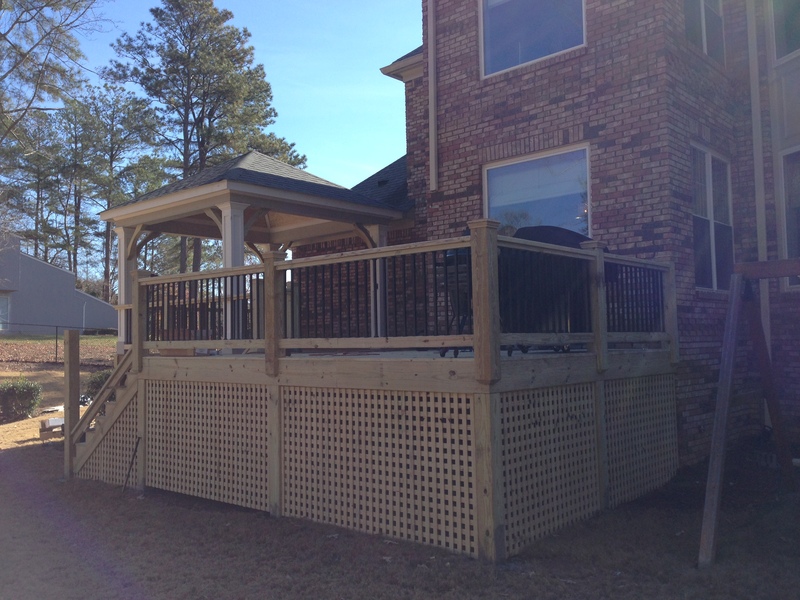 Our clients are thrilled with their East Cobb deck extension, railing and new porch. They are loving it so far, are very excited and truly thankful. They are super pleased and thankful for the amazing craftsmanship and are delighted that their projects was in good hands. Do you have a deck or patio that needs updating? Or are you looking to increase the length of Georgia’s outdoor entertainment season? Call us!